Long before perma-tanned football agents and TV mega-rights ushered in the age of the multimillionaire player, footballers’ wages were capped – even the game’s biggest names earned barely more than a plumber or electrician. Footballing legends such as Tom Finney and Stanley Matthews shared a bond of borderline penury with the huge crowds they entertained on Saturday afternoons, on pitches that were a world away from the pristine lawns of the game’s modern era. Instead of the gleaming sports cars driven by today’s top players, the stars of yesteryear travelled to matches on public transport and returned to homes every bit as modest as those of their supporters. 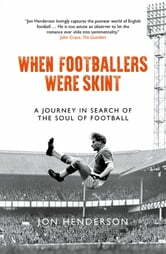 Players and fans would even sometimes be next-door neighbours in a street of working-class terraced houses. 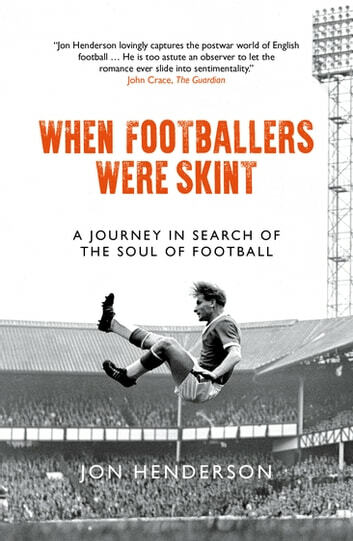 Based on the first-hand accounts of players from a fast-disappearing generation, When Footballers Were Skint delves into the game’s rich heritage and relates the fascinating story of a truly great sporting era.